Gorenje exhibition area at the IFA fair again hosted Slovenian Ambassador to Germany, Mr. Mitja Drobnič, this year. The Ambassador congratulated Gorenje on their 60th anniversary, on the splendid exhibition, and the company's success in defying the crisis and consolidating its position among the major home appliance manufacturers. During his visit to Gorenje exhibition area, Slovenian Ambassador to Germany, Mr. Mitja Drobnič, was impressed by Gorenje's performance in the country: "Gorenje is a flagship of Slovenian economy and I am very pleased to see their successful performance year in, year out, in a challenging market like Germany, and particularly to see them succeed in marketing their own brand. 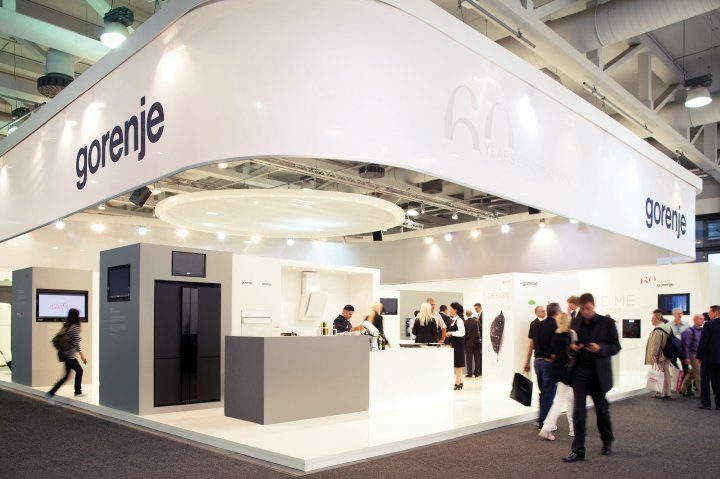 Whenever I represent Slovenia in Germany, I refer with great pride to Gorenje," he commented during this year's visit to Gorenje exhibition area.